Trade Updates: Tax Havens, EU Antitrust, EU Trade Powers, Russian Sanctions, Power Politics — Diverse Developments. …. Excellent article discussing offshore tax havens. “Piercing the Secrecy of Offshore Tax Havens.” Washington Post (April 6, 2013) (review of massive data). …..Interesting argument that power politics and national interest are back at the expense of multilateralism and the WTO. Bilateral trade arrangements are in favor and multilateralism across the board is not in favor (from climate control, to international security interests). “Trade Deals Show Power Politics is Back.” Financial Times (April 1, 2013). …..The EU is considering pursuing yet another antitrust case against Google this one over the Android phone and display of Google Apps. (This is addition to the pending one concerning Google’s search engine (involving search results and those sponsored ones). “World Tech Companies Look to Brussels to Resolve Antitrust Complaints.” Wall Street Journal (April 10, 2013). 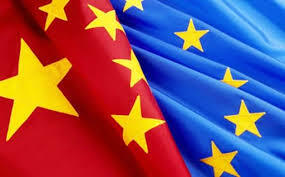 …..Good update on proposals in the EU to update its trade powers to investigate and litigate trade disputes within the EU system especial against China. “EU Seeks New Powers for Trade Probes.” Financial Times (April 11, 2013). …..The U.S. has imposed sanctions on various Russians under the Magnitsky legislation and the Russians have responded in kind. “Russia Bars 18 Americans After Sanctions by U.S.” New York Times (April 14, 2013). …..The EU is considering moving more aggressively against tax havens perhaps along the lines of the U.S. “Foreign Account Tax Compliance Act” (FATCA). This issue will be discussed at the upcoming G-20 meeting and the European Union Summit. “Support Grows for European Efforts to Fight Tax Havens.” New York Times (April 15, 2013). This entry was posted in Global Trade Relations and tagged EU and tax havens, EU antitrust, EU trade powers, FACTA, Magnitsky Law, Russian trade sanctions on the U.S., tax havens and U.S. law, U.S. trade sanctions on Russia. Bookmark the permalink.